An adaptable die-cast aluminium wall light with a faceted shade. The rotating mechanism gives two points of adjustment. 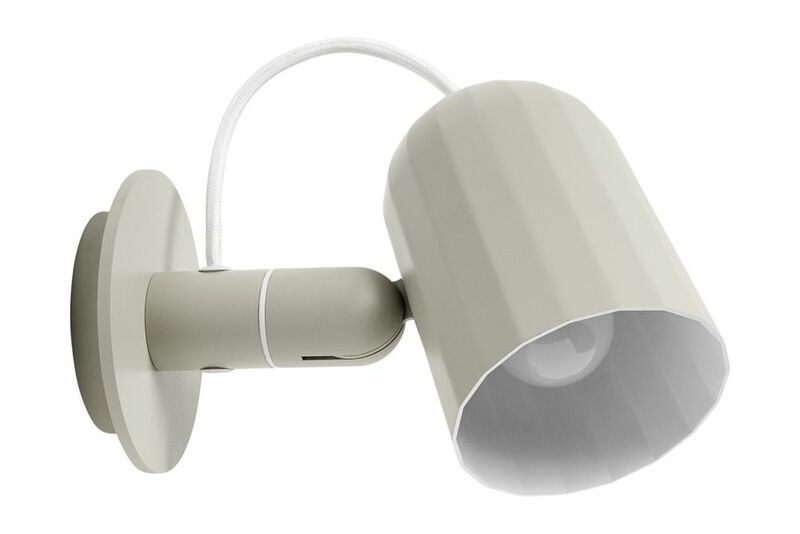 The lighting cable is fed neatly through the body of the wall stem, allowing for easy adjustment. A design ideal for use across both domestic and commercial settings, finished inside and out with a smooth powder coat. Supplied with an bulb and two metre cable with inline rocker switch. Jack Smith and Gemma Matthias have a responsible approach to their design work. Having worked for several architects and design practices, their shared knowledge of manufacturing and passion for enduring products has lead them to a utilitarian approach to contemporary design.